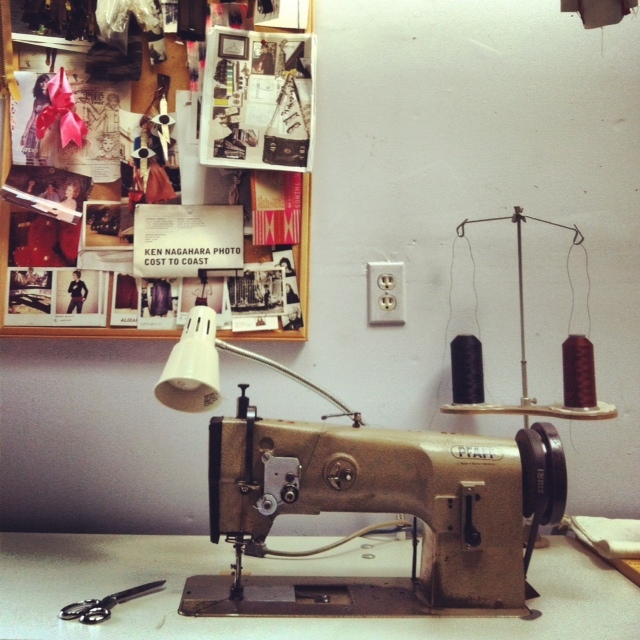 CLAFLIN, THAYER & CO. is a sewing and design studio started by Liz Thayer in 2009. She currently works out of a cozy retail space and workshop, located in Oakland, CA's thriving Temescal Alley. Liz has worked for over a decade designing shoes and accessories for major fashion retailers in San Francisco and New York; but her true love is working in her own studio to create timeless staples that will last a lifetime. 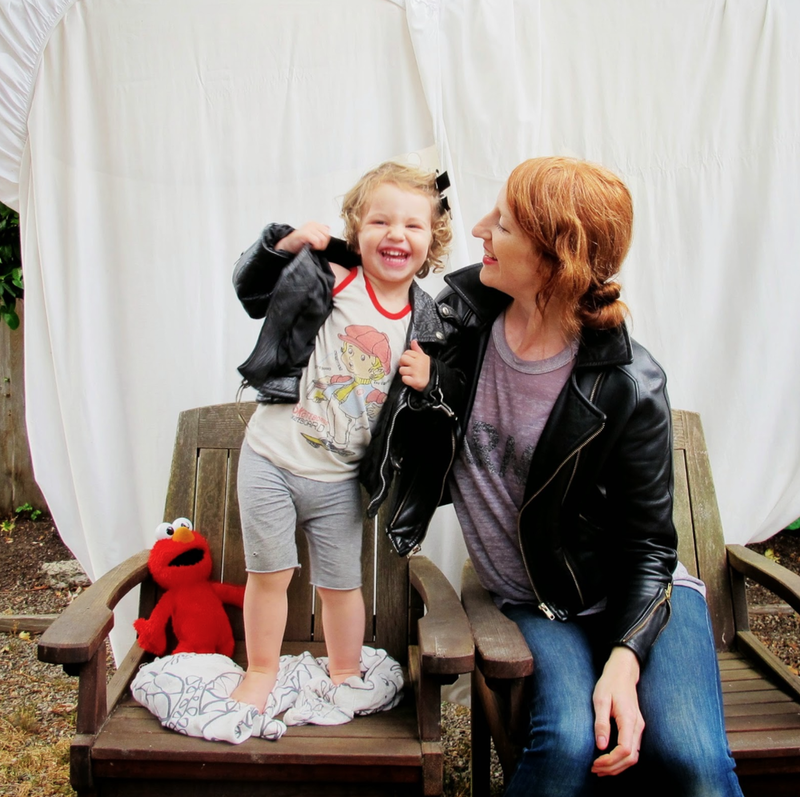 Liz focuses primarily on designing and sewing outerwear, leather goods, and accessories. She has also been known to moonlight as a sign-painter, illustrator, and cartwheeler, among other things. In 1830, AARON CLAFLIN & CO. was founded as a boot and shoe manufacturer in New York City. By the late 1800's, Liz's great-grandfather, Edward Claflin Thayer, was managing the family company, then known as CLAFLIN, THAYER & CO. The business ran in downtown Manhattan until the 1930's, at which time it closed after almost 100 years of business. Various documents and memorabilia remain, including the original storefront sign that Liz proudly displays in her shop. Lips bags are available in a variety of colors and sizes for wholesale purchase. Please email for wholesale inquiries & pricing. Include the name of your shop, website, and estimated order quantity. Outerwear is only available for purchase in the Oakland shop at this time. We offer a small collection of staple outerwear designs in addition to an ever-changing selection of limited-edition pieces. All jackets are designed, cut & sewn in house in small runs. Adjustments are available on a made-to-order basis for customers that need extra customization. Custom orders are only taken when current work load allows. We do NOT do alterations, repairs, or custom designs of any clothing, accessories or leather goods (except for Claflin, Thayer & Co. items), though we’d be happy to suggest some other businesses that specialize in these areas. Please stop in to see our ever-changing selection of outerwear and try a jacket on.